1. Ball can be in hands of (1) or (2) - they can pass to each other. 3. (4) comes off screen shoulder-to-shoulder looking for ball from (2) or (1). 5. 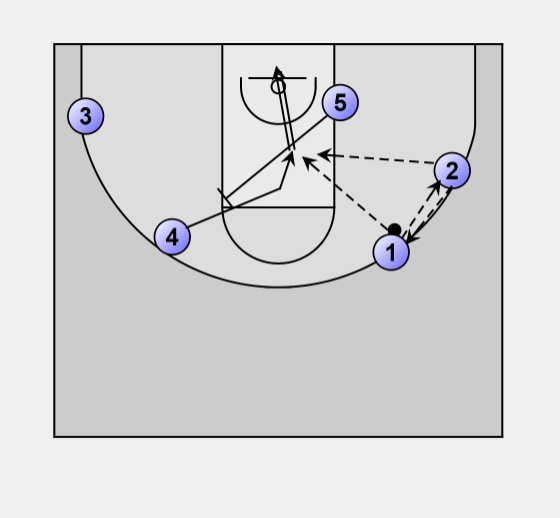 (5) after setting screen for (4) drop steps and goes to basket back side - looking for lob. 6. If (5) does not have lob - he sets screen for (3) who comes to middle looking for ball and shoots.